Designed to showcase our many blown glass options. This collection utilizes a simplified frame that embellishes the shape and colour of the glass. Finished in Dark Rust. 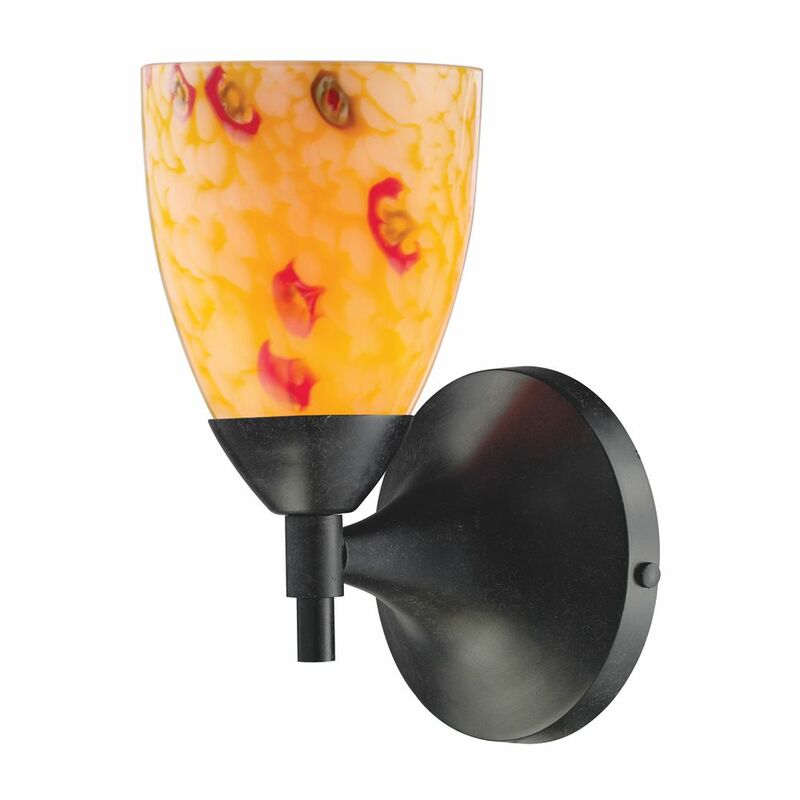 Celina 1-Light Dark Rust With Yellow Glass Sconce Designed to showcase our many blown glass options. This collection utilizes a simplified frame that embellishes the shape and colour of the glass. Finished in Dark Rust.